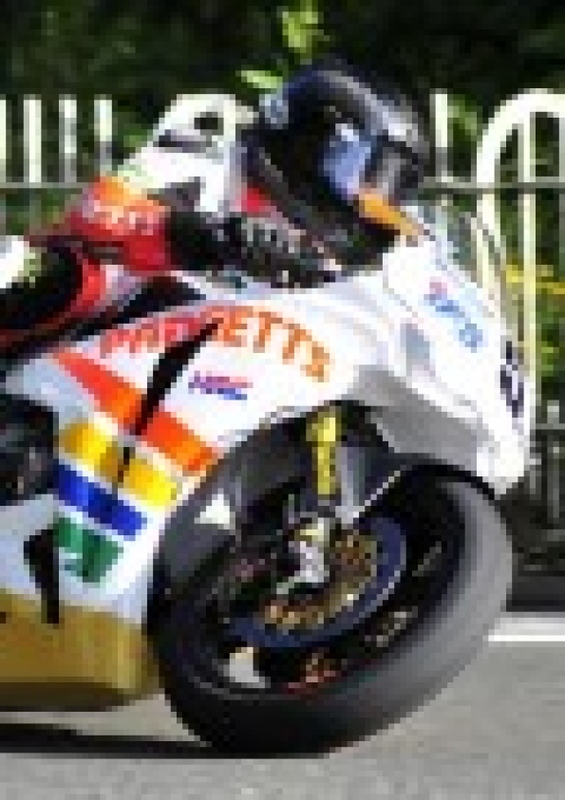 MANX Kiwi Bruce Anstey, riding for the Yorkshire-based Padgetts Honda Racing team, showed his hand with the fastest time of the week in Wednesday evening’s third TT practice session of the week. A cloudy day gave way to sunny intervals for the evening session but with a stiff breeze, competitors would have to take particular care, as expected, over the Mountain although the wind could be felt all the way round the 37 and ¾ mile course. There was also a lack of adhesion at Ballagarey reported ahead of the practice but with good visibility and dry roads, conditions were otherwise ideal for some high speed laps. Guy Martin and Michael Dunlop who got the session under way slightly later than scheduled at 6.29pm, both on their Superbikes and following them were Gary Johnson, Keith Amor, James Hillier, Bruce Anstey, Ryan Farquhar and Ian Lougher, all also Superbike-mounted with the exception of Farquhar and Lougher who were on their Superstock and Supersport machines respectively. Dan Kneen was slow to leave the line but after a few adjustments he was soon on his way. Martin was the first to complete the lap at 128.35mph with Dunlop right on his tail at 128.269mph, the Ulsterman later nosing ahead on the road, although it didn’t last long as he soon retired at Ginger Hall. Johnson was the quickest though at 128.452mph while Amor, Anstey and Dan Stewart were all in the 127mph bracket with John McGuinness further back on 126.029mph, the Honda TT Legends rider immediately pulling in to make adjustments before getting back out on the course. Michael Rutter was going well on the Ducati at 125.69, only slightly slower than Cameron Donald on 125.76mph while Lougher was the quickest Supersport machine at 119.85mph. Johnson and Amor were the quickest through the Sulby speed trap at 191.2mph but Davy Morgan again out of luck, this time getting as far as Quarry Bends. Paul Owen, Jim Hodson and Brian McCormack were some of the other riders to experience technical problems. ‹ The Manx TT starts today!! !